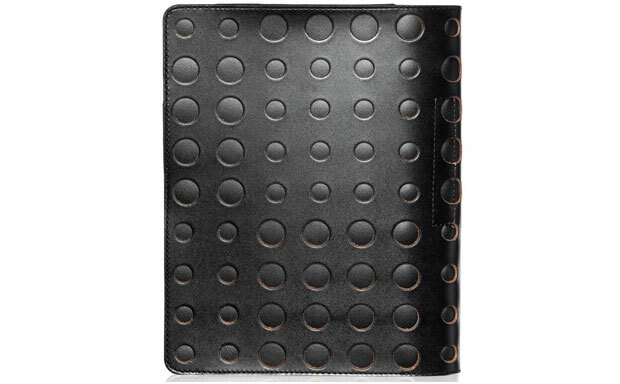 Leather folio tablet cases usually come in a smooth or patterned design. 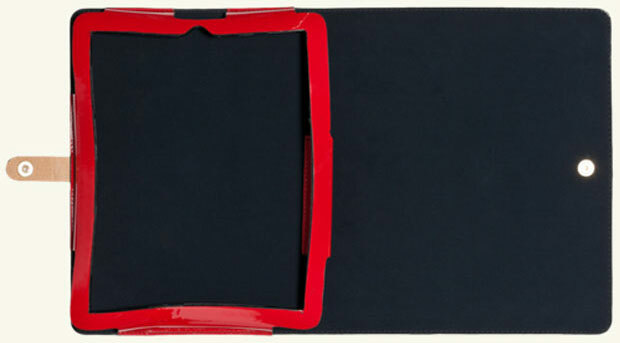 Marni decided to introduce something different and launched the Wallet – an attractive folio made to fit the original Apple iPad. 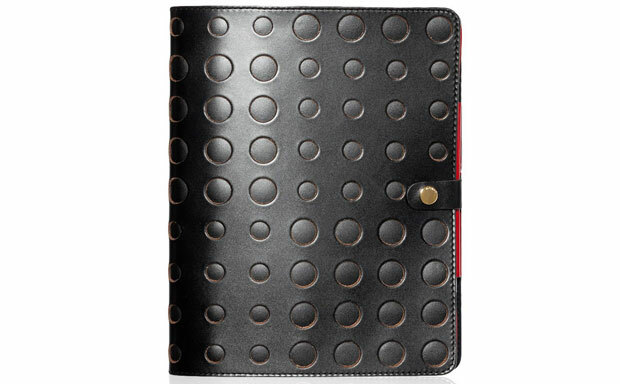 The case is crafted from genuine calfskin leather and sports a striking symmetrical pierced design. The exterior leather does not only deliver stunning looks, but also provides a durable layer of impact protection. The tablet itself is secured within a special pouch inside the iPad case, preventing accidental fall outs, but keeping the access to all ports and buttons completely unrestricted. The interior of the Marni Wallet is lined with soft polyester and cotton mixture, which keeps the tablet safe from scratches and smudges. The case comes with a subtle tab closure featuring a button lock, which keeps the folio securely shut when the device is not in use.